Earn $1.83 in Rewards credit. Click to learn more. A great tire and an even better price. Michelin's Dynamic Sport features a fast rolling slick tread with grooved shoulders for shedding water. Available in various color to match any bike. Its Michelin, what could go wrong? We bought 4 of these tires (blue) to replace the aging tires on two of our bikes. With Western Bike Works service and pricing, it was a no-brainer. I am a recreational ride. I do about 1500-2000 miles a year. I like this tire for the price. I got only about 1500 miles out of a previous set before the wire started to flatten out pretty good. Traction is good and I have not had any flat issues although my path is a really good one. I use these tires on my rollers and so far so good, it took a while to break them in but now Im accustom to them. I also rode my bike with the same tires and I was surprised by the handling especially when cornering. For their value these tire perform well, just not sure about their durability over time on the road or the trainer. when the winter season will be over I will add another review about that aspect. Not the most puncture resistant tire in the world but still a smooth stylish tire for the money. Excellent quality for good looking tires,perfectly match my bicycle frame and others words looks like one art piece,I really recommend this tires for single speed bikes or any bike..
Good price. Less rollong resistance. My previous tires were a set of Vittorio Robios (sp??) 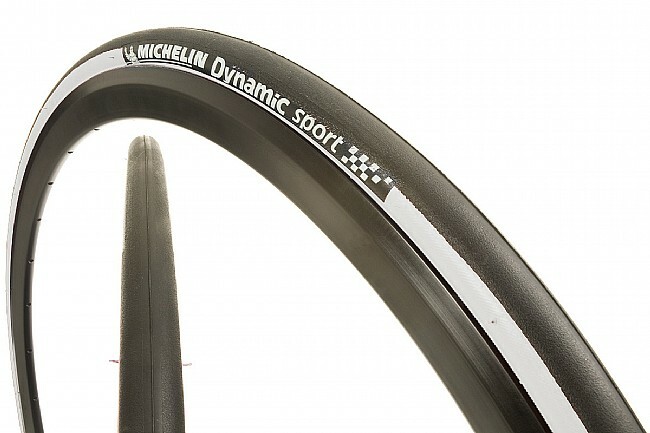 These michelins have a suprising noticible less rolling resistance. Both were 700 x 28s. I'm 63 and like the less rolling resistance. I purchased these to use on a wheelset for riding rollers. The price was right and they work great! ordered one tire because I wanted to see if this size could fit the bike. The space between the rim and the frame is pretty tight. It worked and. I too a couple of weeks commuting (21 miles round trip) and decided to get one of the same tire on the front wheel. The ride is so much smoother than the tires I had before (25mm) but they are not as quiet. The little noise is not bothering me - I rather want to enjoy the smooth ride. I also measured the ride is a little faster. I am excited to see how many miles I get out of these tires. 14 of 18 customers found this review helpful. Tried to seat them on front and back wheels with no luck, unseats right at 80 psi. Tried new and old tubes with same result. Swapped to Vittoria Zaffiros and have not had a problem since. Ive owned these before. Ive completed two centuries on these tires. Great for the price and the spin very well. You wont be let down with this tire. Tires perform well. I have ridden a few hundred miles without flats. Pick some up when on sale. The logo wears off as ink seems cheap, otherwise a good deal for the level of performance of the tire. Im not a pro but enjoy riding fast. These tires hold up well a fast speeds and handle up to 115 psi. I have purchased a few extra and Im set for the next year or 2. 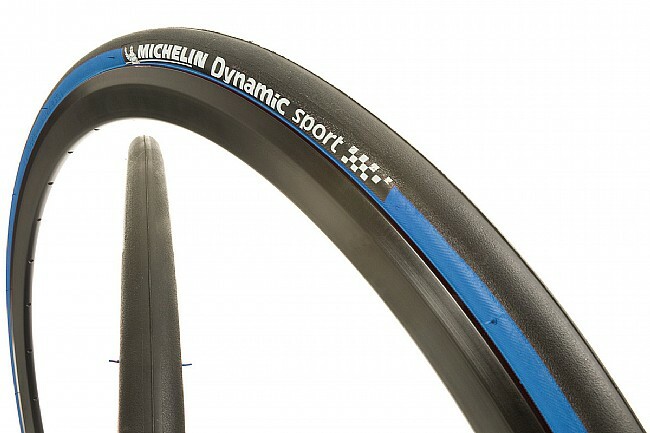 The Michelin Dynamic Sport Tire goes on my bike throughout the winter months. Those are the months where there is more gravel, salt, and general debris on the road and I don't want to run the risk of ruining my more expensive tires. 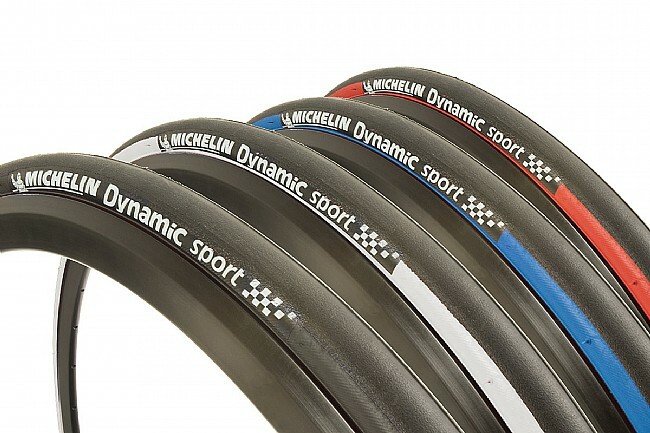 No, the MDS is not the lightest, nor the most subtle, nor the best cornering tire. But, they are good enough, especially for the training and winter months. And when you can get these on sale for under $12, then stock up and save your expensive tires for the summer months and for racing!! Great tire for cruising up and down mountains and bike paths, smooth and quiet. Good tire for a non professional racer. I use these tires for my rollers during the winter time so I don't have to worry about ruining my expensive tires but if I need some traction on a dry winter day these tires were good and they felt okay for the road and winter time I'm doing less than 30 miles anyway these tires are perfect for what I need them for. Great roll resistance...long life fast and quite ride. Comes in many many road sizes. Smooth ride, and durable quality. I ride about 20 miles a week. I like the stability of the traction when it is dry out, not so much when it is wet. Only just installed them on my older Fuji Roubaix, but man they feel awesome compared to some tired Continentals! I'm an old recreational cyclist and I've found this tire to be very durable. I was moving from a 23 to a 25 to fit my style of riding and I just couldn't be happier with this tire. I love the feel of riding it.